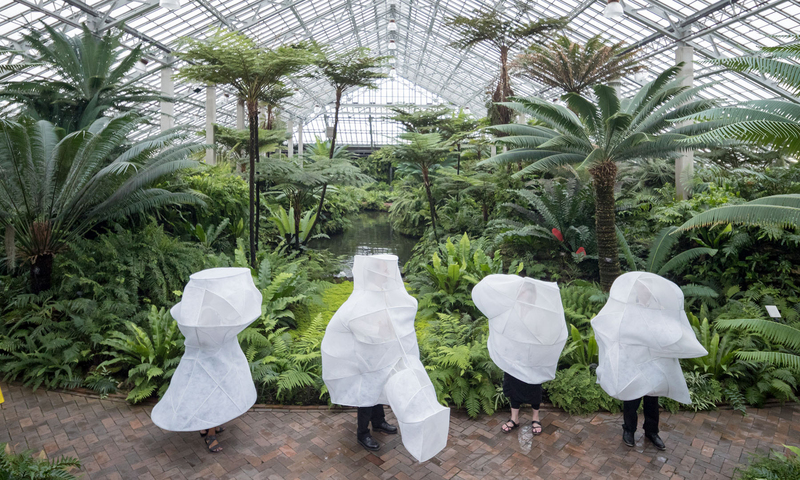 In conjunction with Making New History, the second edition of the Chicago Architecture Biennial, we collaborated with artist Ana Prvački to debut a special project during the Biennial’s opening week. 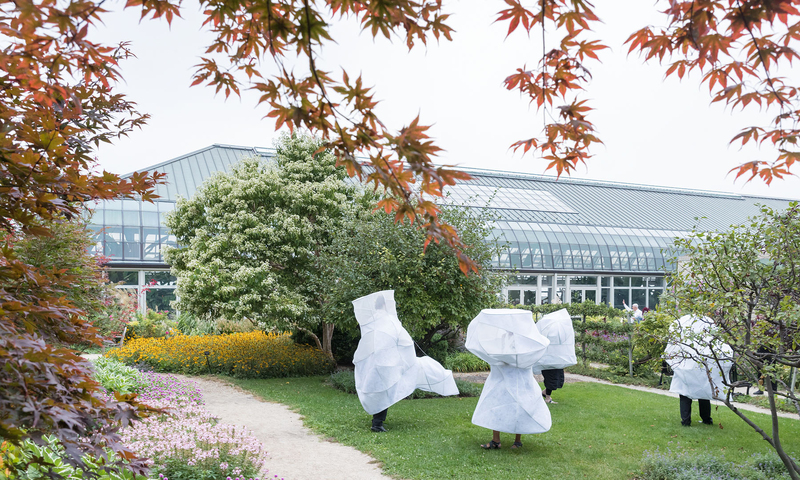 Titled L’air pour l’air, the project aims to ensure the continued legacy of musicians as our cities’ atmospheres grow more polluted. 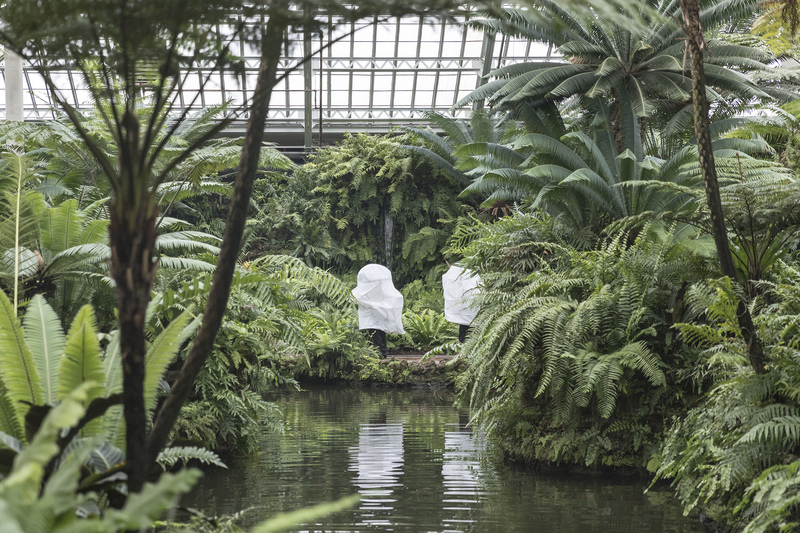 Inspired by the abundant plant life in the Garfield Park Conservatory, along with Prvački we have created an ensemble of air-filtering mesh enclosures, designed to clean the air through breathing. 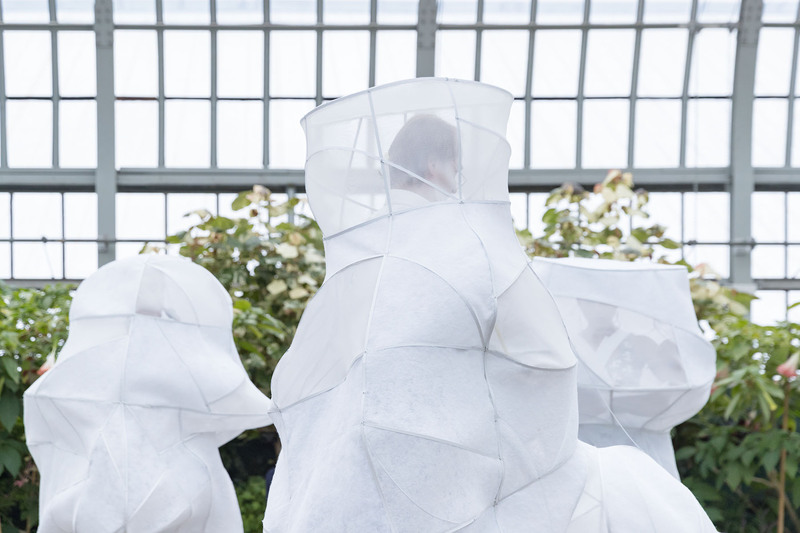 Part mask, part shelter, the enclosures will be worn by an ensemble of saxophone, flute, trombone, and vocals from the Chicago Sinfionetta. 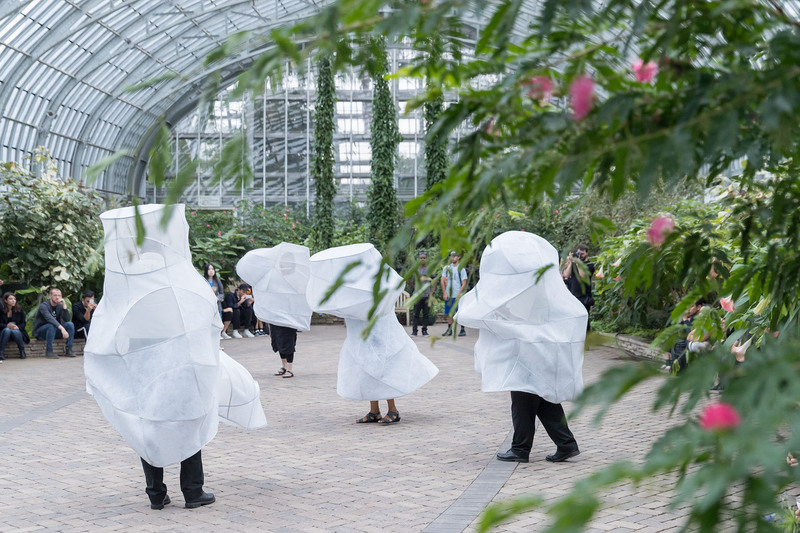 Through performing an original composition, De Aere (concerning the air), by composer Veronika Krausas, the musicians will “clean the air that produces the music.” The installation and performance encourage its viewers to meditate upon the complex notions such as the relationship between purity and pollution, and the distinctions between self, body, objects, and nature.